The Team has had a variety of buildings during it’s history. 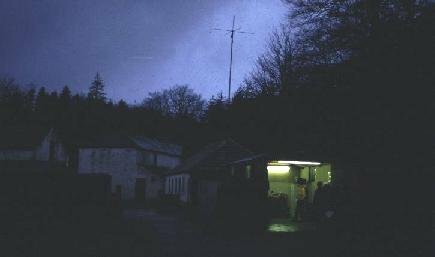 The first base was a wooden hut next to the car park at High Force, in upper Teesdale, provided by Raby Estate. 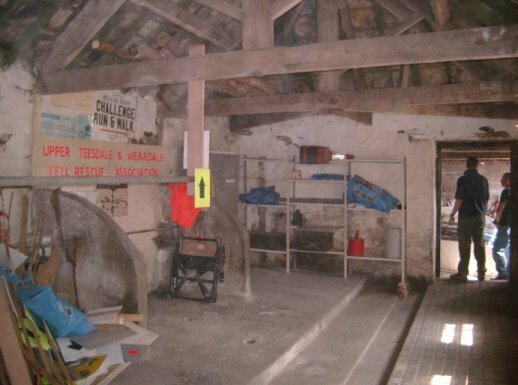 There are many former Team members with fond memories of exercises run from the hut and weekends spent sleeping on the concrete floor. The next development was a collection of garages rented from Teesdale District Council and located in Barnard Castle. These provided storage for team vehicles and a limited amount of office space, but nothing more. Team training continued to be carried out at a variety of locations including the Wheatsheaf Inn in Staindrop, Staindrop Comprehensive School and the social club at Bishop Auckland Police Station! In December 1998, towards the end of the lease period for the garages, the Team received an offer from the Durham Police Authority of some land behind Barnard Castle Police Station. After a frantic two years of planning and fund-raising (including help from the National lottery) the purpose built Rescue Centre was officially opened by Lord Barnard on Saturday 31st March 2001. The Rescue Centre consists of a double garage area for the vehicles, which includes a rope training wall, shaft rescue platform and adjustable slope. Adjoining this is a humidity controlled drying room. The base also includes a control room with archive store, disabled toilet facilities, briefing room, kitchen area, and an upstairs large meeting / presentation room. As well as ample storage and maintenance areas for all the team's equipment, the base is also equipped with a powerful multi-media computer system and an array of audio-visual equipment including video projection. At the team AGM in November 2012 the rescue centre was re named The Chris Scott Rescue Centre in honour of one of the team’s founder members who has worked tirelessly for the team both operationally and behind the scenes.